Instant Pot Chicken is one of the quickest (and easiest) ways to cook chicken! 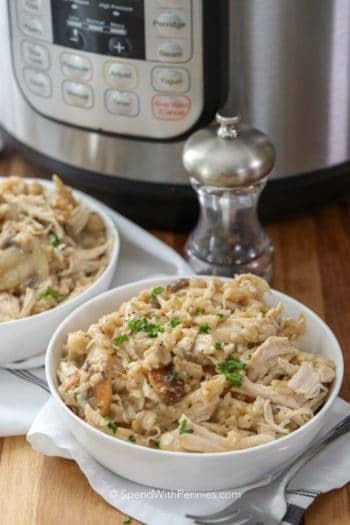 Just a few simple ingredients (and fresh or frozen chicken) are tossed into your electric pressure cooker, push a button and voila, dinner is ready! You can barely prepare all of the toppings in the time it takes to make perfect Instant Pot Chicken breasts! 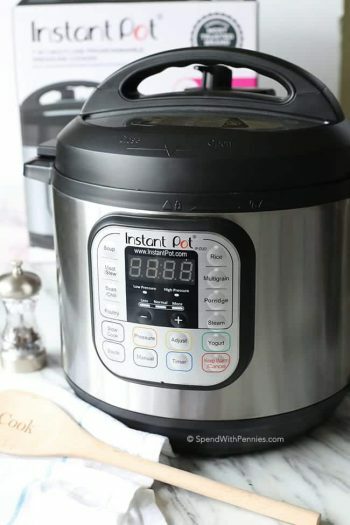 I love my Instant Pot (and if you don’t have an instant pot, you need one)! 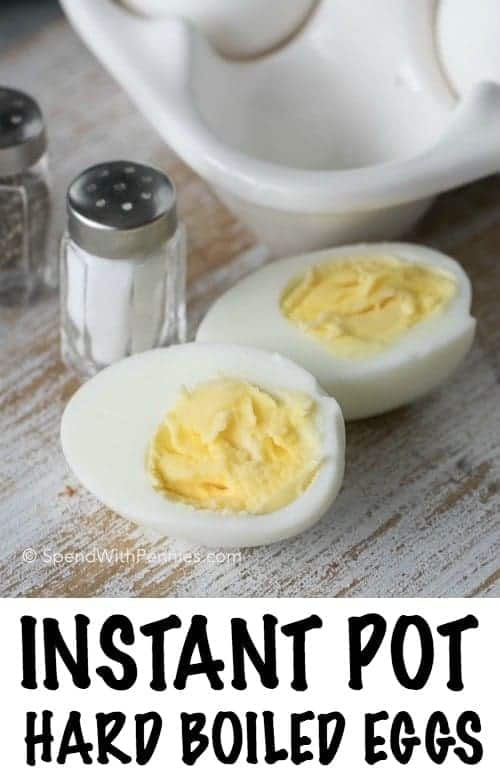 If you’re asking yourself, what is the Instant Pot you’re going to love this! It’s an easy to use (aka super safe) pressure cooker that takes all of the “scary-ness” out of pressure cooking. (Check them out on Amazon here). I love being able to grab chicken breasts right from the freezer, pop them into the Instant Pot and have a meal ready to go in just a few minutes. Not only is it healthy, it’s delicious and crazy tender! 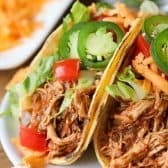 If you use a crock pot regularly, you know you need to thaw frozen meat first and then the recipe usually takes several hours to cook (like my Crockpot Chicken Tacos). 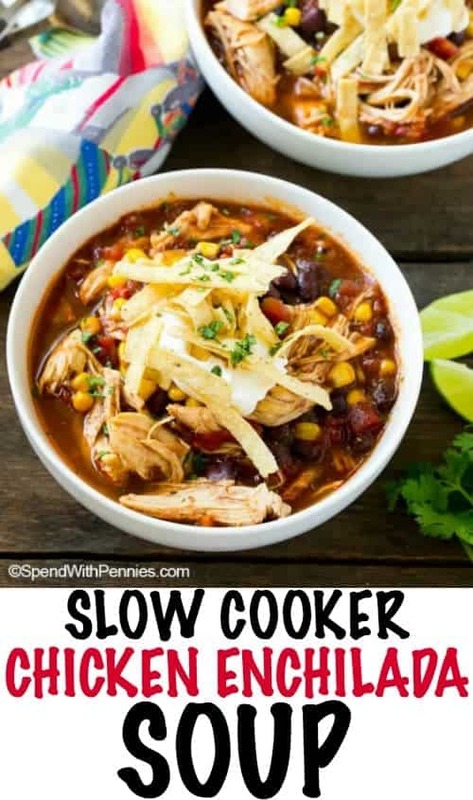 Cooking chicken in the slow cooker is perfect for when I’m gone all day and want to come home to a meal that’s ready to go but the Instant Pot cooks a meal from frozen in just minutes. I mean, I do TRY to plan meals but sometimes it’s 5pm and I really haven’t even thought about dinner (please tell me I’m not the only one)! In this recipe, you cook fresh chicken for 12 minutes and frozen chicken for 16! Are you beginning to see what I mean when I want to call it the Miracle Pot? 4 ingredients, that’s all it takes to get started. 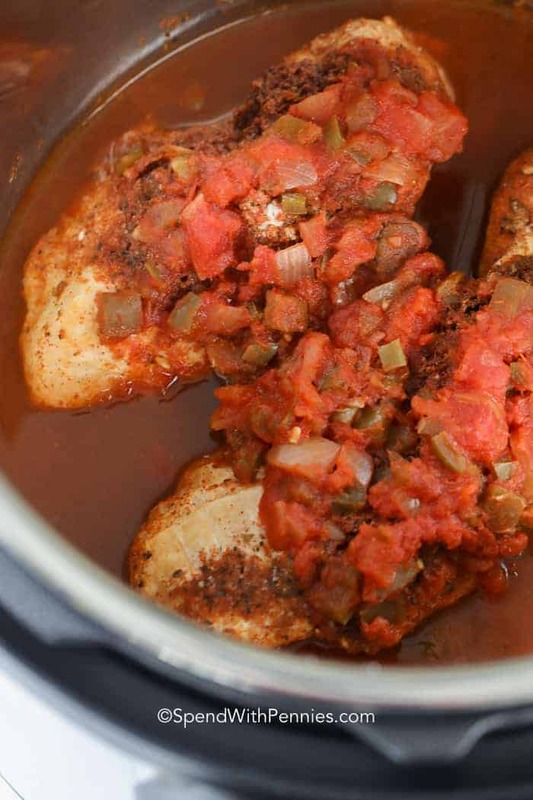 Chicken breast, taco seasoning (I prefer homemade taco seasoning), chicken broth and salsa – that’s it! Once cooked, you simply shred the chicken and you are ready to serve! Traditional taco fillings and hard shells are perfect, but I also love to use soft tortilla shells or even to serve this over a bed of lettuce for the perfect taco salad! We set out a whole tray of toppings, sour cream, Homemade Salsa, lettuce, tomatoes, guacamole… pretty much whatever you want! Have a little fun with your toppings to see what you can create! I love to make this recipe not only because it is so simple, but because everyone in my family is satisfied! Seriously, who doesn’t love tacos?! 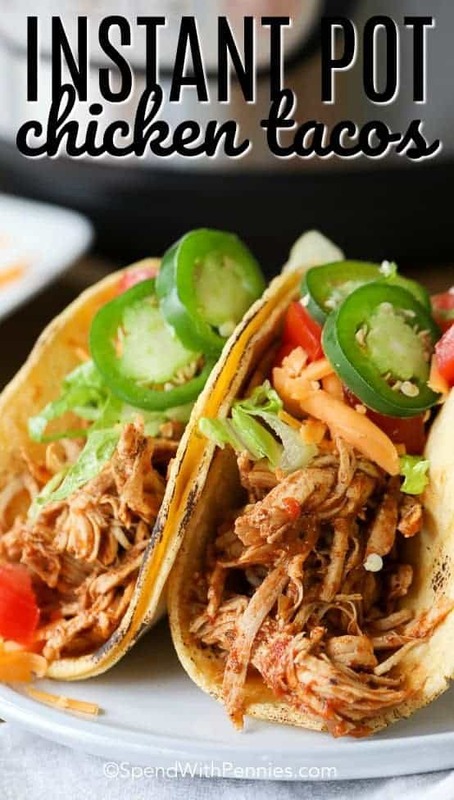 If you’re serving a crowd, this makes the perfect taco bar… and putting the Instant Pot on warm means your guests can serve themselves whenever they want. Add in a simple tossed salad while the chicken is cooking and you have a complete meal ready in minutes! This recipe both freezes and reheats perfectly! Left overs can be frozen in freezer bags to use later (if there is actually any left-over!) and microwaved until hot for a quick meal. We’ve also used this chicken to make a Nacho Platter for last minute guests! Instant Pot Chicken is so easy to make and truly one of the most versatile recipes I have ever come across (and one you’ll pull your pressure cooker out for any day of the week). 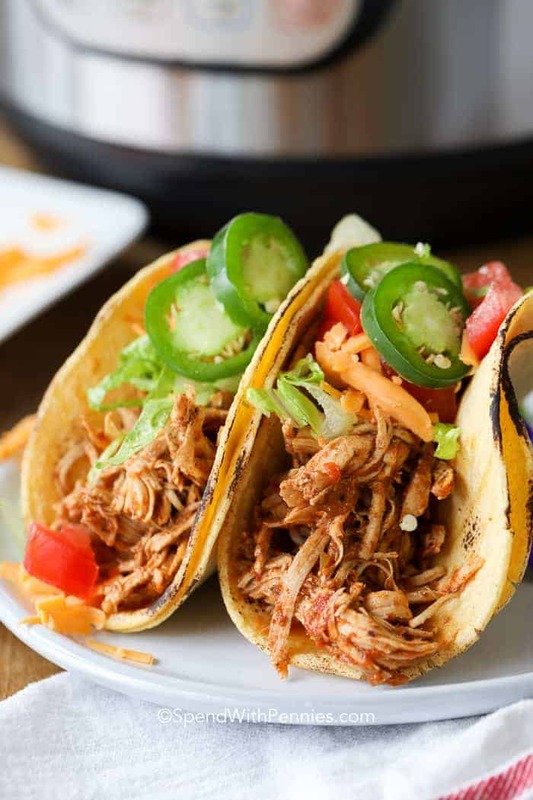 Super-fast, incredibly delicious and crowd pleasing…all reasons to whip up Instant Pot Chicken Tacos tonight! 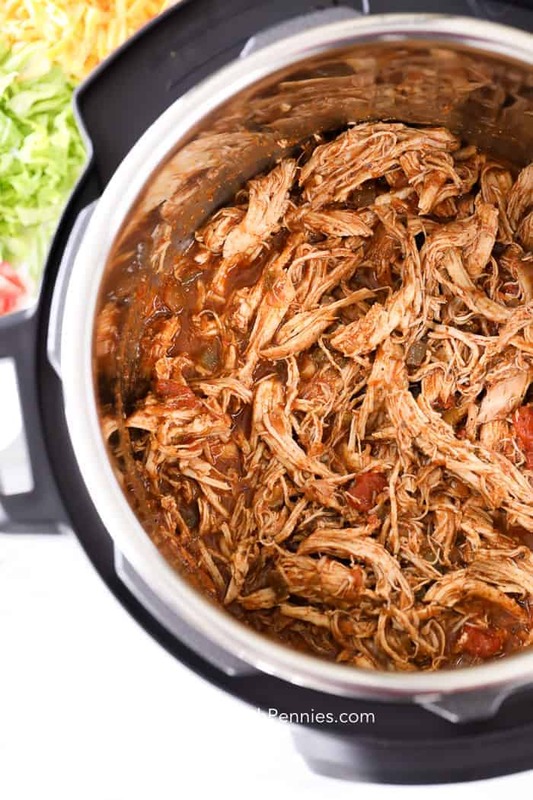 Just 4 ingredients and a few minutes of time make this Instant Pot chicken one of the best weeknight recipes we’ve ever had! 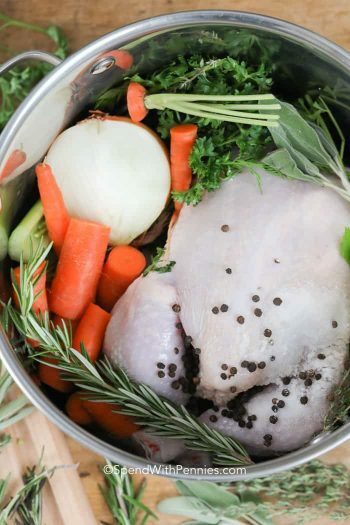 Place chicken breast in the bottom of the Instant Pot. Add chicken broth. Sprinkle taco seasoning over chicken breasts. Top with salsa. Press “Poultry” and cook for 15 minutes if frozen and 12 minutes if fresh. Once done, release pressure and shred chicken with two forks. 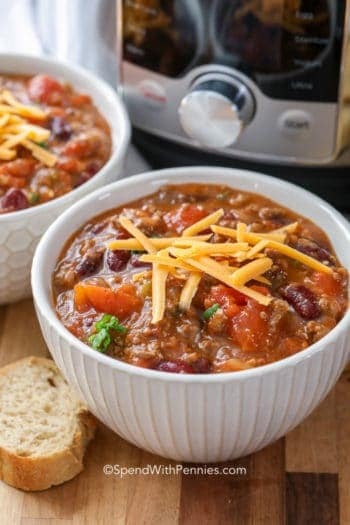 Combine with sauce in Instant Pot and serve as desired. Nutrition information does not include taco shells or toppings. If your chicken breasts are on the smaller size, you will want to reduce the timing by about 2-3 minutes.